Get ready to blast off into an unforgettable adventure with the new Fairytale Mosaics: Beauty and the Beast game! The magic rose is losing one petal after another! Can you save the prince and his kingdom in time and return their former glory? Use bonuses to earn new ranks. 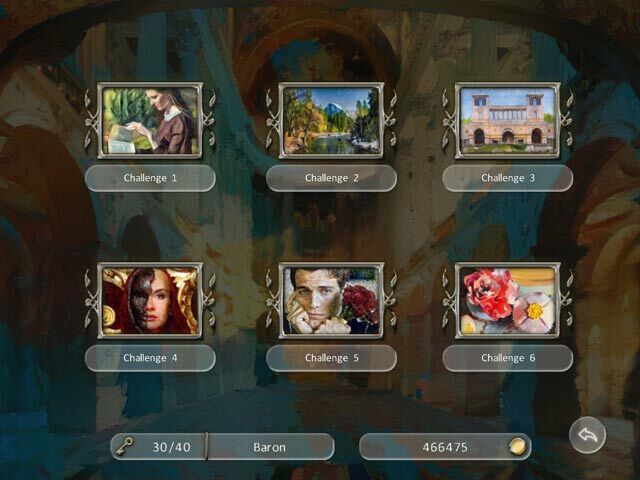 Gather keys and unlock new challenges! 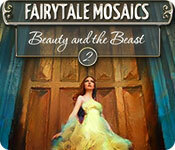 Fairytale Mosaics Beauty And The Beast 2 is rated 2.9 out of 5 by 7. Rated 5 out of 5 by DeadRiver from Fun Little Game Based on the Demo. This was a very fun game, building mosaic pictures. It is the first time I have ever played a game like this although I understand they are very popular. The music was nice; the colors and portraits to be filled in were beautiful, vibrant, and gorgeous. I knew I would buy it because when the trial time was up it had felt like I had played for only a few minutes. It was that much fun. I bought it immediately. It was so much fun. Rated 5 out of 5 by MrsBen from MORE OF THE SAME...ITS A GOOD THING!! These puzzles have pictures that are a bit "hazy" and they leave the "seams" showing between the pieces when the puzzle is finished, which I wish they didn't do....BUT the pictures are old European or Victorian style that captivate your imagination. The weird shapes and "fuzzy" edges make the puzzles more of a challenge. I love all these Mosaic type puzzles. The music is the same as the last Beauty and the Beast Mosaic game, but I love it. I can see the people in their lovely gowns and best suits dancing their hearts out as I am playing the game. This game is a purchase for me. 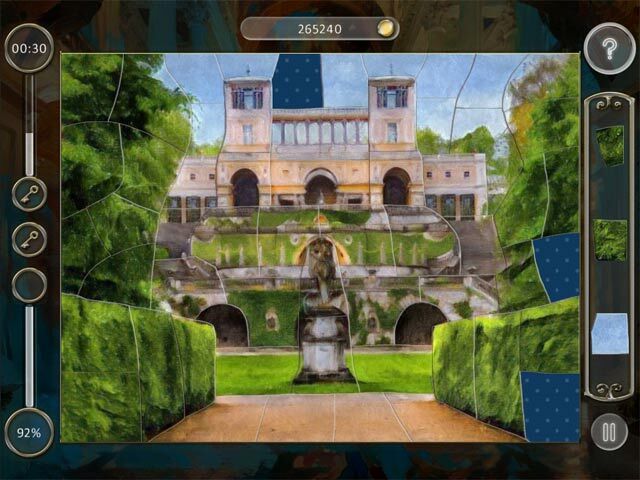 Rated 2 out of 5 by pennmom36 from JUST MORE OF THE SAME This is yet another Mosaic Puzzle by 8 Floor Games, with the same features as all the other Mosaic puzzle games they offer. If you've played one, you've played them all, because they never change a single feature in any game the release, ever! I will say that I liked these pictures better than the ones offered in Fairytail Mosaics 1: Beauty and the Beast. There are 6 different Mosaic Worlds and each has 20 puzzles available. There is a left-hand mode as well as a Relaxed feature that automatically gives you the Key and points for finishing the game, no matter how long it takes you to finish the puzzle. In Normal Mode, you will receive one Key for Completing the puzzle, a second Key if you make no Mistakes, and the third Key if you Complete the puzzle within the Allotted Time, which isn't as easy as it sounds! You will earn coins for each completed puzzle and can use the coins to buy extra time or instantly refill the hint feature, you can also unlock other levels and worlds, but it costs a ridiculous amount of coins ranging from 25,000 coins to a whopping 195,000 coins, and I doubt you could earn that many coins beforehand anyway. The object of the game is to correctly place available mosaic puzzle pieces located on the right side of the puzzle. Some puzzle pieces are already placed on the board as "clues" and more pieces are added until the puzzle is complete. All of this sounds really easy, but when you are trying to place the pieces wicked fast and without making a mistake, it can be mind-blowing. You can replay the puzzle as often as you want to try to earn a better score, but each time the puzzle will reset with different puzzle pieces as clues. 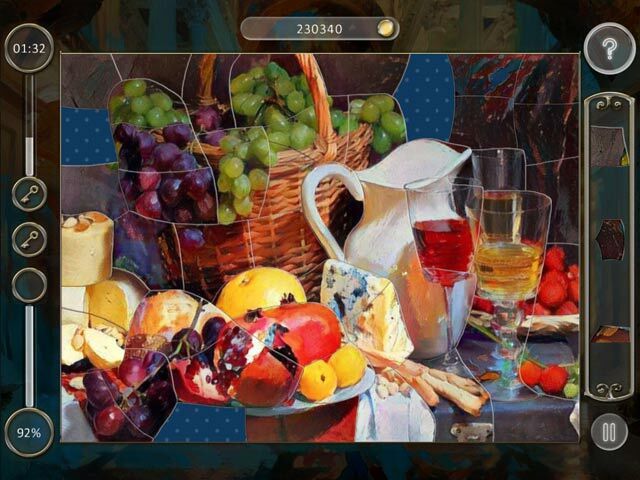 As I said earlier, these pictures are more appealing than the last one, but if you've bought any of the mosaic puzzles offered by this dev, there's probably no need to buy another. Each time you re-play a puzzle, different pieces are shown at the beginning which is another reason not to need another mosaic puzzle, because each time you play it is different than the last. but Alice's Patchwork and Mosaics Galore are much prettier if you have to choose one over the other. Rated 2 out of 5 by verimeri from disappointing I have played a lot of mosaic games and a lot of 8 floor games. This one is just sad. From almost the first level you are presented with a bunch of pieces that have straight edges but are not outside pieces. I was using hints by puzzle 8. If that is not irritating enough the pictures remain fragmented. The lines between the pieces stay throughout the puzzle. I played 30 min and decided this was an absolute no buy for me. Rated 1 out of 5 by campingramps from I've seen and done way better I have a few other 8Floor games and I thoroughly enjoy them. This one, however, is not one of them. I played 9 minutes of the demo and I knew that was enough. the puzzle pieces are very confusing and it's hard to get them in place, the graphics and colors are depressing and the overall fun factor is nil. I don't recommend this one at all. Rated 1 out of 5 by JoJo1208 from I didn't like this at all. I couldn't get on with the art work at all. Some of the pictures look as if they came from a horror movie. The colors were confusing and the shapes were too vague, overlapping edges, so you never knew till you released the piece whether it would fit or not. I saw no story line at all. Very disappointing.